The powdered supplement is easy to add to a bucket feed, as is the pelleted variety. 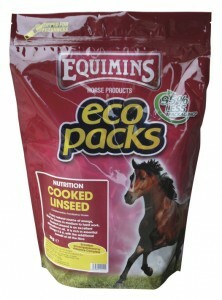 But the pellets also work really well if the horse receives minimal or no hard feed at all as they can be fed on their own. The pellets are made using a cold pelleting system to ensure that the ingredients are not degraded by the heat- so there’s no loss in quality. The same applies to other products such as Hoof Mender 75, Tip Top Supplement and Laminator. Our high specification Flexijoint range helps support joint health…but there are some differences between the liquid and powdered versions. All contain high levels of key ingredients, but the powdered version contains slightly higher levels of hyaluronic acid and chondroitin sulphate. However, Flexijoint Liquid is supplied in a liquid base containing devil’s claw, to give further support to stiff joints. Flexijoint Liquid with Bromelain uses bromelain, a derivative from the pineapple, to help support stiff joints. These are slightly different products but both made using linseed and provide a great source of slow release energy. Feeding Cooked Linseed provides the benefits of oil with added fibre, whereas Linseed Oil can be mixed in with feed or used to top dress, to add extra calories. Garlic…available as Liquid Gold, Garlic Powder, Garlic Granules and Garlic Flakes. When it comes to garlic, a lot is down to personal preference and how you use the product. Garlic Powder is the cheapest per container, but some people find that granules keep better, which can be useful if you buy in bulk. Garlic Flakes are made using strips of garlic and are very tempting, making them great for fussy feeders. Our Liquid Gold is very concentrated, with 1 L lasting a horse for 100 days, and is ideal for those who prefer liquid supplements. These two products from our Serenity range have a slightly different formulation to each other, although they do share many of the same ingredients. The liquid version was created in response to customer requests and holds the ingredients in liquid suspension, for faster absorption. 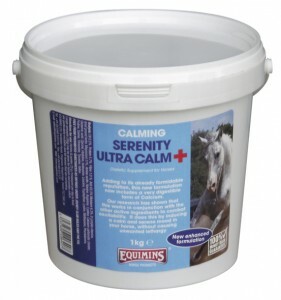 Serenity Ultra Calm + now includes calcium carbonate chelate for extra support. Both products come with a money back guarantee. 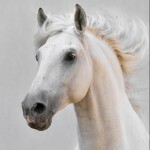 Many of our herbs and herbal blends (like Devil’s Claw Root Herbs and Devil’s Claw Liquid, Milk Thistle Liquid and Milk Thistle Herbs, Air-Way Herbs and Liquid, Mobile-Mover Herbs and Liquid), have similar formulations, but are provided in two different presentations to suit how you like to feed your horse…to give you more choice. If you’d like to chat through the differences, please call us and we’ll help you pick the best one for you.